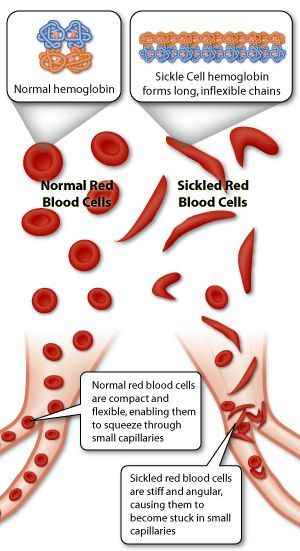 Sickle-cell disease (SCD), or sickle-cell anaemia (SCA) or drepanocytosis, is a hereditary blood disorder, characterized by red blood cells that assume an abnormal, rigid, sickle shape. Sickling decreases the cells' flexibility and results in a risk of various complications. The sickling occurs because of a mutation in the haemoglobin gene. Individuals with one copy of the defunct gene display both normal and abnormal haemoglobin. This is an example of codominance. Life expectancy is shortened. In 1994, in the US, the average life expectancy of persons with this condition was estimated to be 42 years in males and 48 years in females, but today, thanks to better management of the disease, patients can live into their 70s or beyond. 2011 - Study ~ Mouse models for studying pain in sickle disease: effects of strain, age, and acuteness. 2010 - Study ~ Pain related behaviors and neurochemical alterations in mice expressing sickle hemoglobin: modulation by cannabinoids. 2009 - Study ~ Cannabinoids as Analgesics for Pain in Sickle Cell Disease. 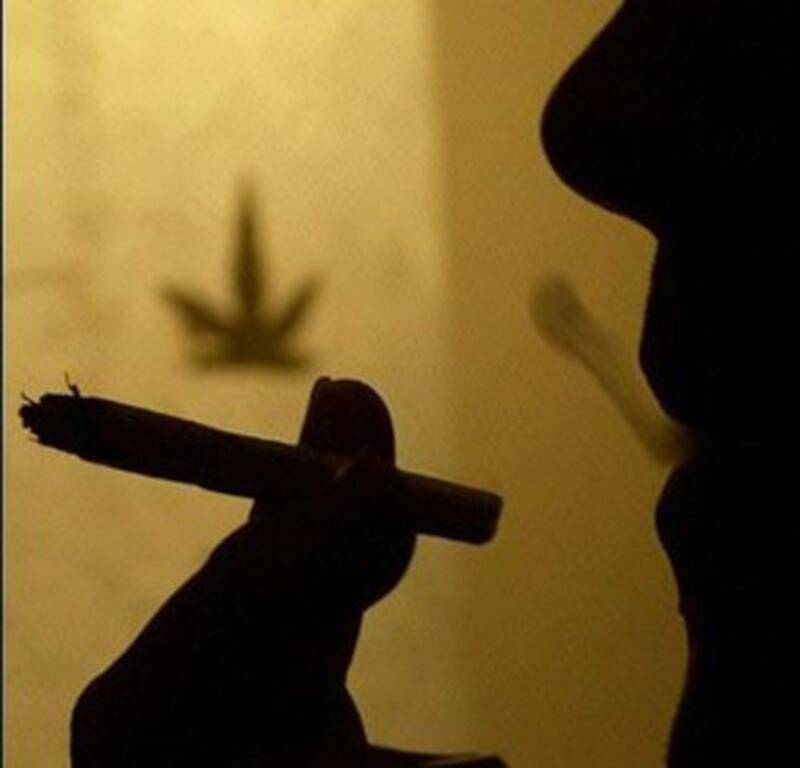 2005 - Study ~ Cannabis use in sickle cell disease: a questionnaire study.